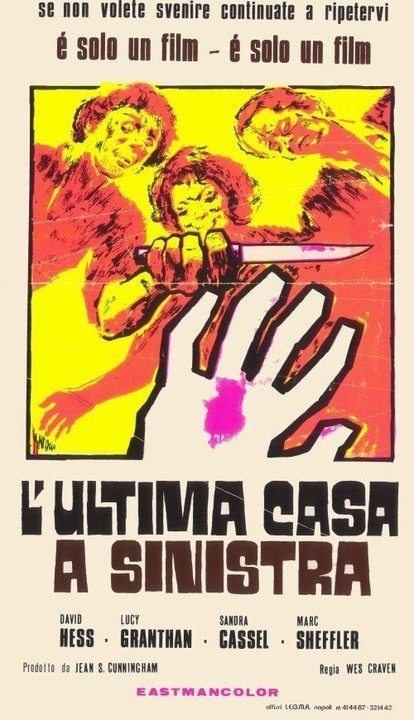 Released in 1972 The Last House on the Left was the feature film debut for Wes Craven and while from a pure filmmaking standpoint this may not be his best film, but it is his most powerful and quite honestly its my favorite Wes Craven film. While there were films that pushed the envelope in cinema prior to Last House, Wes however goes one step further and regardless of how you feel about this movie Wes Craven changed horror filmmaking by pushing the limits for onscreen carnage. Last House on the Left is raw and brutal and you never know just how far the movie will go next and due to the low budget and inexperience of Craven, Last House is a bit rough around the edges and that’s where the power of the film comes from. It almost feels as if you’re watching a documentary rather than a film. If Wes Craven made Last House on the Left later on in his career I’m not sure if the movie would have worked as well as it does. This isn’t an entertaining movie by any means; watching two girls humiliated and sexually assaulted isn’t fun, but Craven sets out to shock the viewer and he very much succeeds at doing just that as this movie is shocking and disturbing and quite honestly Last House is one of the scariest movies I’ve ever seen. A lot of people think they understand the horror genre, but some of these people are kind of clueless. Wes doesn’t try to scare you the same way he does with say A Nightmare on Elm Street. While Elm St. was a scary movie, but at the end of the day Freddy isn’t real whereas all you need to do is pick up a newspaper and sadly there are people like Krug (Hess) in this world and that’s what makes the movie so scary since the idea of two girls abducted, raped and murdered is sadly something that happens far too much. Last House on the Left doesn’t feature a killer that cannot die, but rather has real people doing these horrible things to another. The screenplay by Wes Craven was overall far better than given credit for; the characters are actually fairly decently developed. We don’t spend a lot of time with Mari (Cassell) and Phyllis (Grantham) before their abduction, but the scenes prior to it I felt Craven did enough to give you an idea on what these two girls are like. Both Mari and Phyllis have this naïve innocence to them and Mari is coming into her own and while Phyllis might be seen as the bad girl, there is toughness to her and sweetness as well. Mari & Phyllis are young and think they’re more mature than they actually are and what happens to these two girls is humiliating and just really sad and I almost found myself wanting to turn away since I felt so bad for Mari and Phyllis and there are very few movies that get that kind of reaction out of me. I took a liking to both characters since they feel like real people and some say they weren’t developed enough, but I totally disagree. The villains are downright ruthless and vile and never does Wes Craven make them likable. Early in the film perhaps Krug and his gang are a little likable as their kind of goofy, but as the film goes on they get sadistic and after that any likable factor they had is gone and you wanna see them pay for their crimes. My biggest problem with these movies is sometimes the villains are too likable and it’s weird to like people who commit these horrible acts, but even though we spend a lot of time with the villains they always remain just that and Craven never makes them likable, but at times he does show a human side of them. The villains truly deserve everything that they get and the leader of the group Krug is one of my favorite villains if not my all-time favorite. Krug isn’t likable, but he is charismatic and you might even be drawn to him and David Hess delivers one of the all-time great performances; as I stated Krug is charismatic and you cannot help, but be drawn to the character as he’s quite interesting, but he’s downright evil and sadistic as well. However the screenplay isn’t perfect; the comedic element with the two cops does slightly hinder the movie. I get what Craven was attempting and in many ways it works and I suppose it also helps even if it hinders the movie. 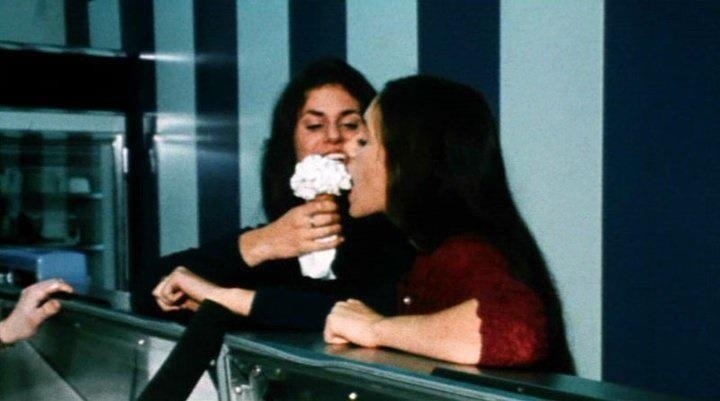 At times Last House on the Left can really be hard to watch due to what happens to the two girls and the comedy at least gives you a break from the pain and humiliation the girls go through, but it does sort of feel out of place with the rest of the movie. But besides this problem I think Last House on the Left is far better written than people give it credit for. Wes Craven wrote a great screenplay and I urge people to take a closer look at it. The intentions Wes Craven had while directing was to make the movie to look like a documentary and rather than cut away show everything as if it were a documentary and Wes Craven delivers one of the most shocking films ever made that to this day still holds up as a powerful and depressing movie. The villains as stated are vile and disgusting and never once does Wes Craven ever glorify them or their actions. 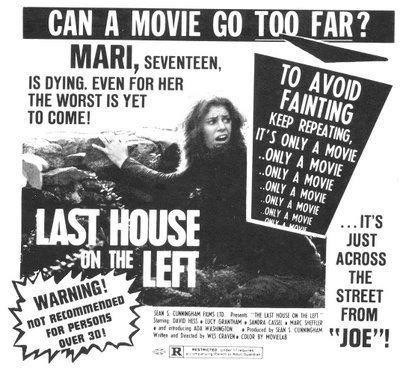 Last House on the Left is far more than just an exploitation film and I almost hate to use that term when explaining the movie since exploitation films have this stigma about them that they have to be bad, but fun movies; and in many ways that does dominate the sub-genre, but if you think that’s all exploitation flicks are either you haven’t seen much or the movie is going over your head. As I stated earlier I think the inexperience of Wes Craven is part of what makes this so great. Craven does a solid job with the characters and really creates characters that feel real and the movie itself also feels real, which adds to the power of the movie. It almost feels as if you are watching a documentary and thus it makes these graphic scenes even more graphic. 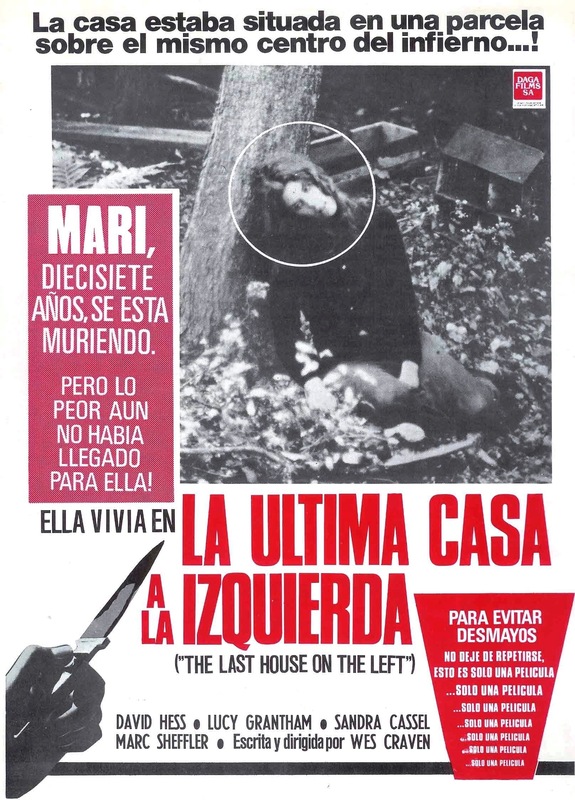 The Last House on the Left isn’t the most graphically violent movie, but the raw power of the film makes it feel so real that in a sense it is more graphic than most other horror flicks. 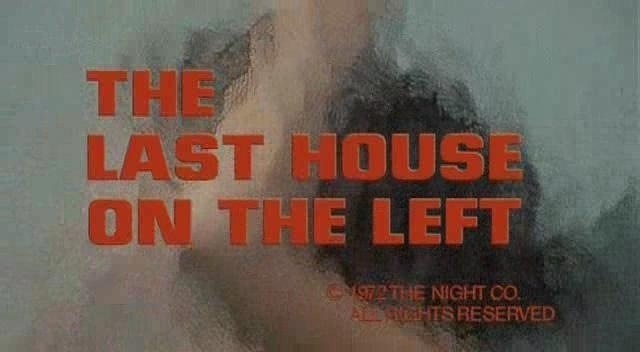 Movies like Last House on the Left aren’t for everybody, but Wes Craven truly did push the envelope and while the movie may not be held in as high regard as some of Craven’s other work or even a movie like John Carpenter’s Halloween, Last House on the Left however truly changed horror filmmaking regardless if you wanna accept that fact or not. One of the things I love most about the film is how what is happening to the girls are just a couple of minutes away from Mari’s house and she’s so close, but yet it feels like she and Phyllis are on the other side of the world. The most powerful scene is right after Krug rapes Mari what follows are some of the most powerful scenes in any movie. As Mari gets up and begins to walk away, Krug, Sadie and Weasel have this awkward silence and for a moment it almost seems as if there is a little bit of regret and even they seem repulsed by what they just did and we see the blood all over Krug’s hand and this moment in the film stands out more than any other film of any genre I can think of. Just the look on the faces of Krug, Sadie and Weasel is a moment that will forever stick in my mind and this scene doesn’t only feature great filmmaking, but great acting as well. It’s like they all realized this went way too far. Afterwards they proceed to go into the water and wash away the blood and again these moments are some truly powerful filmmaking and acting. 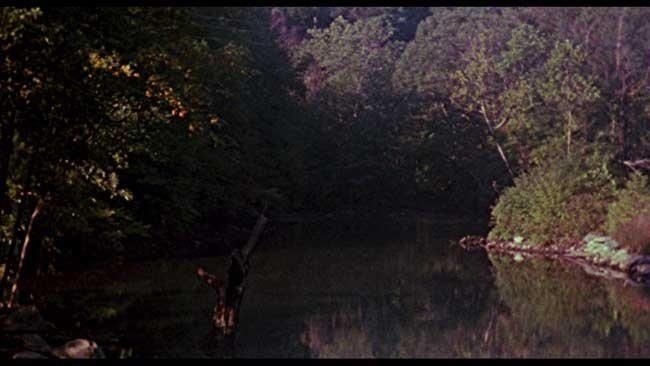 Wes Craven keeps the pace of Last House on the Left moving at a nice speed and while the 2nd half when the revenge scenes come into play the pacing can get a little sluggish perhaps, but Craven always keeps an uneasy feeling and the revenge scenes are downright brutal and extremely fitting. The performances are far better than people give the actors credit for. 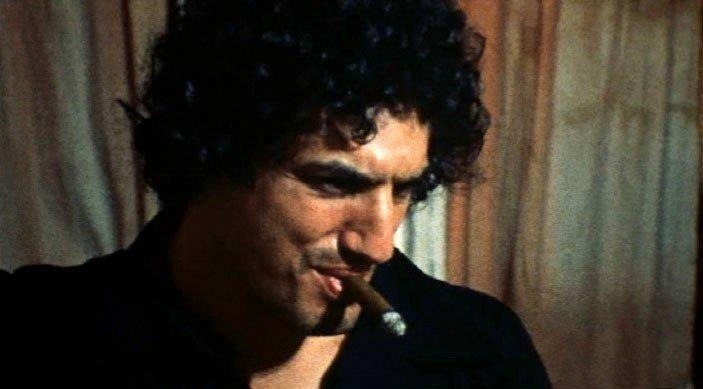 David Hess as Krug always gets his respect for his performance and rightfully so. Hess delivers an amazing performance and even though he’s such a vile character you cannot help, but be drawn to him as well. 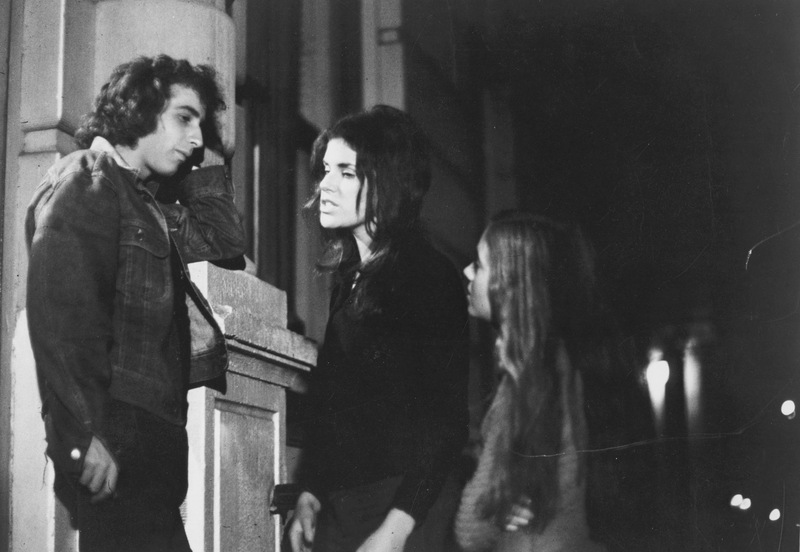 Quite honestly David Hess as Krug easily rates as one of my all-time favorite performances. I really can’t even put into words how amazing his performance was. Jeramie Rain as Sadie is almost if not more ruthless than Krug. Sadie takes part in the sexual assault and how another woman can not only watch, but take part is truly disturbing. 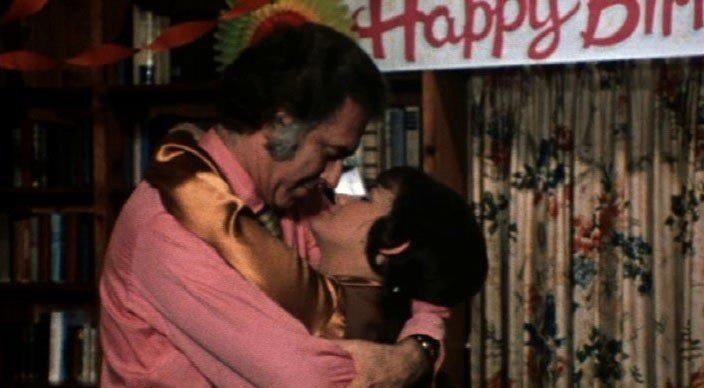 Fred Lincoln has this great sleazy presence and Junior played by Marc Sheffler is quite an interesting character since in many ways he’s almost as much as a victim as Mari and Phyllis. 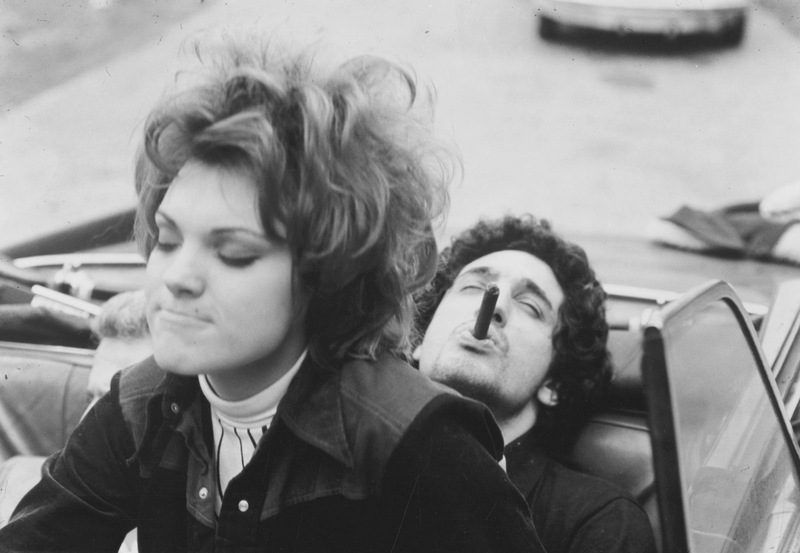 Krug got Junior hooked on drugs as a way to control him and while Junior did lure Mary and Phyllis when in need of a fix people do bad things. Even though he never makes a real effort to help the girls he’s also terrified of Krug and he does try to help like suggesting Mari and Phyllis make it with each other, but his intentions weren’t to humiliate them, but he’s a drug addict and scared and in trying to help only escalates the situation. Sandra Cassell and Lucy Grantham are great in their roles and no matter how many times I see this film it never fails to bother me what happens to them. 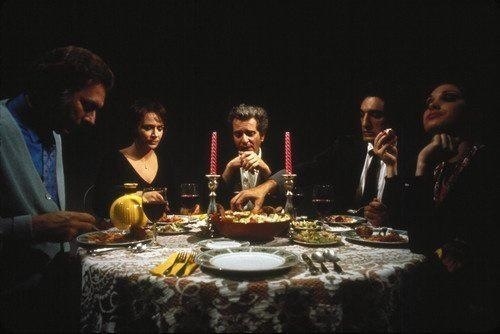 It’s only a movie it isn’t real, but that’s how powerful the performances are that for that 80-plus minutes its ways to forget you’re only watching a movie. As I said David Hess gets his credit for the film and he’s very deserving, but the rest of the cast is also great and deserve far more credit than they get. 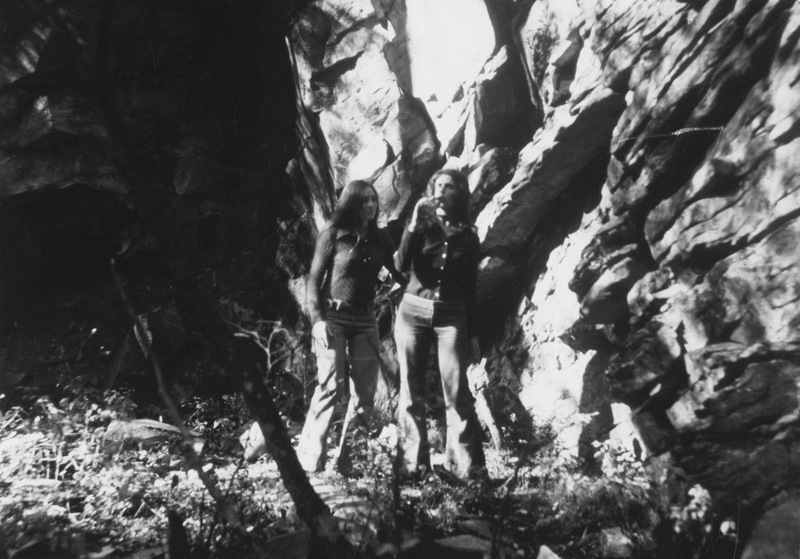 I think one of the things that really stands out here is the music, which was written and performed by David Hess. 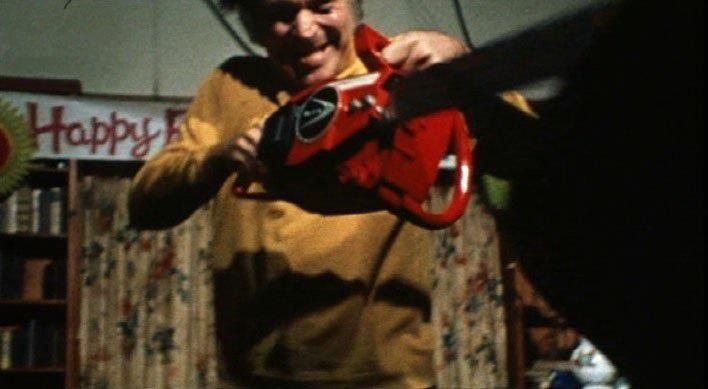 Besides being a terrific actor, Hess was also a truly brilliant musician and his music in Last House on the Left was epic and quite honestly a major reason why this film is what it turned out to be. 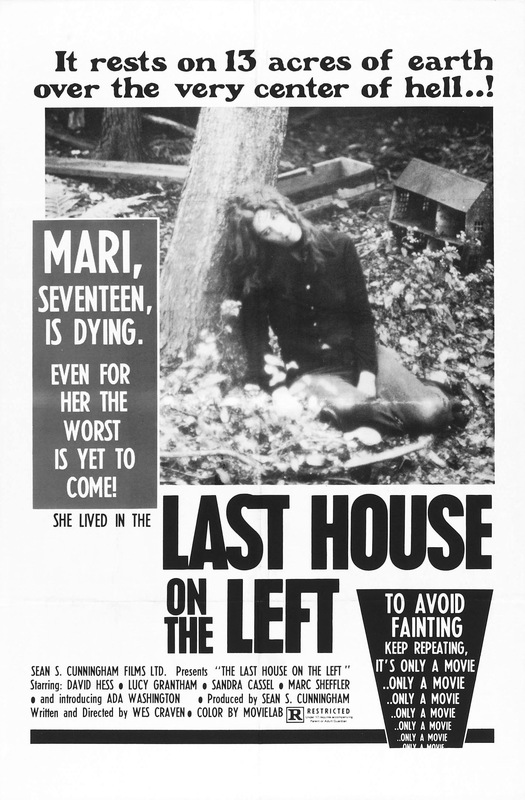 Last House on the Left is one of my very favorite films and one of my biggest influences as well. I can watch this film once every ten years and not forget one single frame. Wes Craven’s Last House on the Left is a masterpiece of filmmaking with great acting and one hell of a great soundtrack. This film forever changed the horror genre and for my money the best film in Wes Craven’s career.